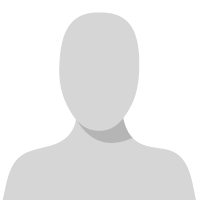 I'm hoping someone who has dynamic worksheets working with CRM online v9 can assist. I'm wanting to be able to go via CRM and export the dynamic worksheets and simply refresh from excel. However when I do this and try to refresh, I get the bellow error of "This Web query returned no data. etc..". Upon more reading I found I had to install the Dynamics 365 add in from App Source. However when I did this, it prompts me for the server URL. 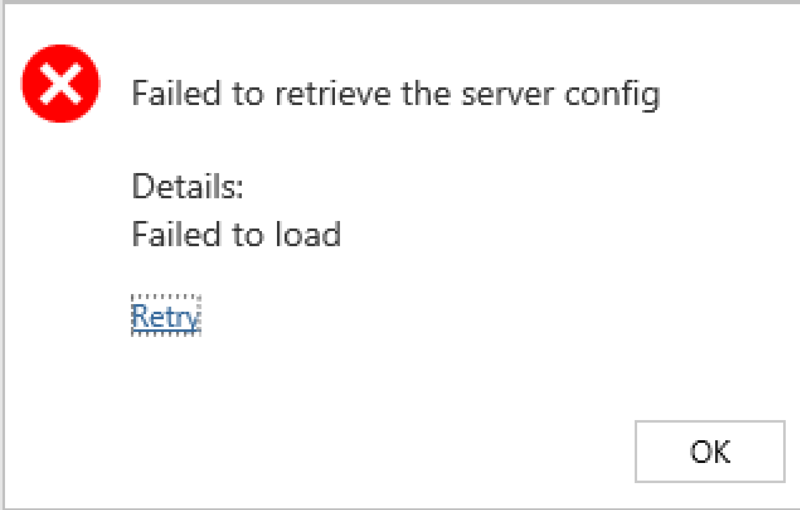 I've entered our usual URL that we use to access Dynamics 365 online but it returns the error "Failed to retrieve the server config". I'm not sure if I've missed one of the basic steps to make this work but I'd love to hear from anyone that has this operating to let me know if this might be the case. I'm going to miss this too when our own CRM moves to online. 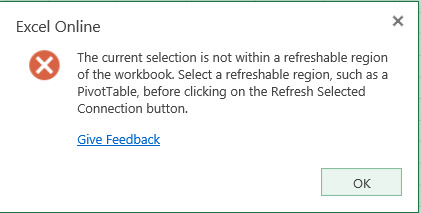 The data refresh from a Dynamic worksheet on CRM Online is meant to work only if you still have the old style CRM Client for Outlook installed, without that it wont work. The new version is to use an Excel Template, these are also a great feature. To open in Excel online, choose the option in the command bar at the top. 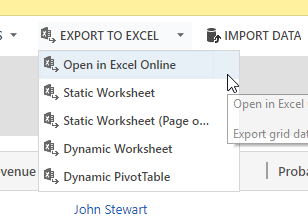 Go to your view or advanced find, then choose Export to Excel and Open in Excel online. 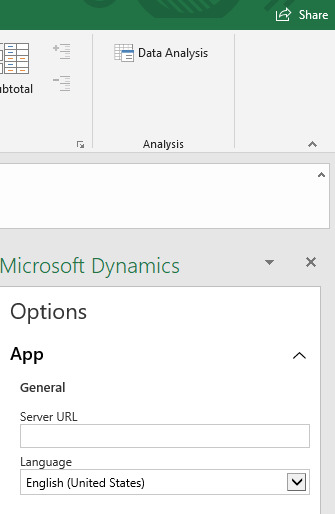 This will then open Excel online inside of Dynamics and you can edit the data and save back to dynamics quickly. Yes this will open excel online, however it is not creating a dynamic worksheet. What I'm trying to figure out is how to create a dynamic worksheet from CRM which then allows refreshing of the data from excel. I was always able to do this easily with on-premise but have not yet had any luck with CRM online. Apologies, i was only explaining how to get the Excel online functionality to work. You can't create a Dynamics worksheet with Excel online, but you can look at your data live from D365 in Excel online and it allow you to update/edit etc. If you want to use the Dynamics worksheet functionality, you should still be able to provided you have the CRM for Outlook plugin installed, not the light weight app, as Andrew suggested in his post. Are you saying you have this installed and you are getting these errors? Have you tried uninstalling and re-installing the plugin, removing all registry entries? Have you tried manually creating the connection from Excel (instructions in the link below) instead of exporting from Dynamics? Hi Ben, yes that works no problem. However it's not what I'm trying to achieve. I'm trying to get the Dynamic Worksheet functionality up and running. It worked wonderfully when I used to have CRM on prem, but I've not been able to get it to work since being with D365 online. I've had some people say it can't be done with online and others that have said it should work. I'm hoping that someone on this forum will have first hand experience getting this functionality to work with D365 online and let me know what steps I might be missing. It's extremely useful for users to be able to export a given view from CRM which they then routinely format so that they only have to click the refresh button instead of formatting each time or using macros to achieve.